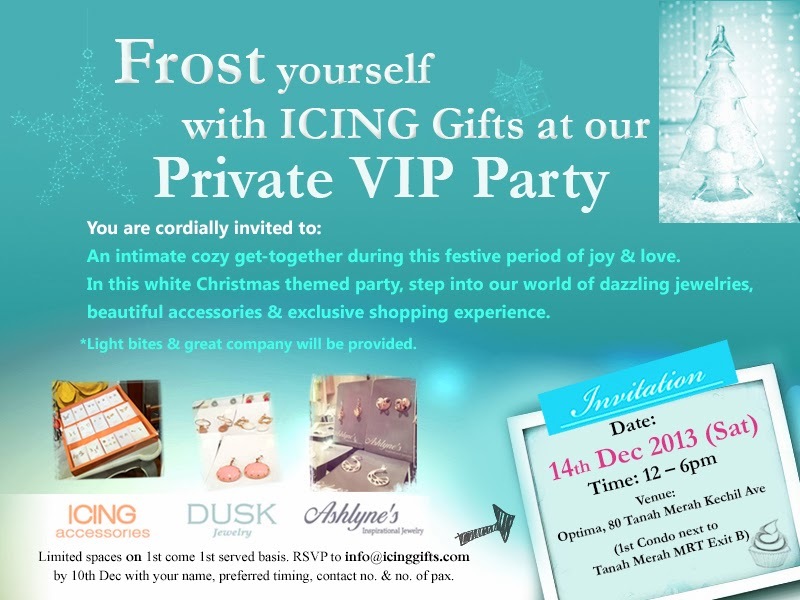 DUSK Jewelry First Ever Private Party This Christmas on 14 Dec 013, Sat! DUSK Jewelry first ever private party is finally here on 14 Dec 2013, Sat! Come join u to hear about our inspiration on our jewelry designs. Each session, we'll only have a few guests so that we can get to your know you more intimately and vice versa. So, do RSVP fast to info@icinggifts.com as spaces are limited.